Follow Uncle John into an enchanted world so packed with wonders it could only come from the Bathroom Readers' Institute. This legendary addition to the wildly successful For Kids Only! series is chock full of the fun facts and eye-popping illustrations that kids have come to love, but this time we’ve added something new: fractured fairy tales . . . in graphic-novel style! They’re brought to life in full color by some of today’s best children’s book illustrators. But wait, there’s more! The Enchanted Toilet also has a whole bunch of mystical activities--including crafts, recipes, poems, jokes, tongue twisters, and a few magical experiments. All you have to do is wave your magic wand and click your heels together three times. You’ll be enchanted by . . .
* And a brand new King Arthur legend that involves…an enchanted toilet! 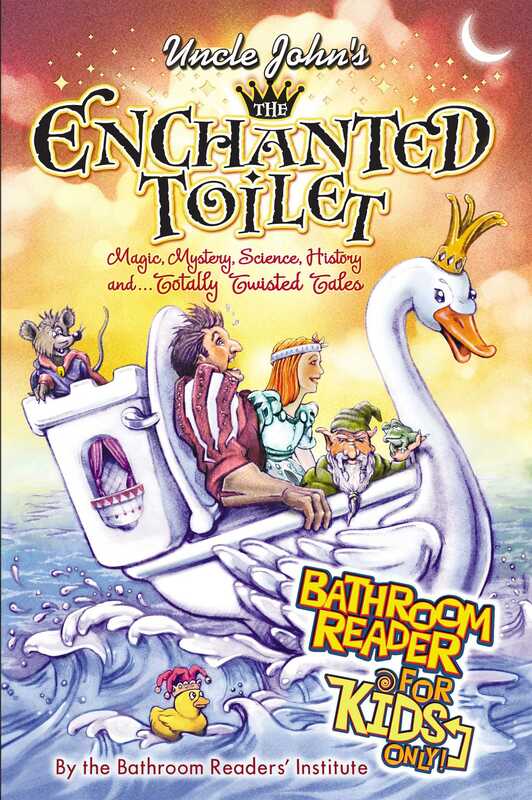 Book Cover Image (jpg): Uncle John's The Enchanted Toilet Bathroom Reader for Kids Only!